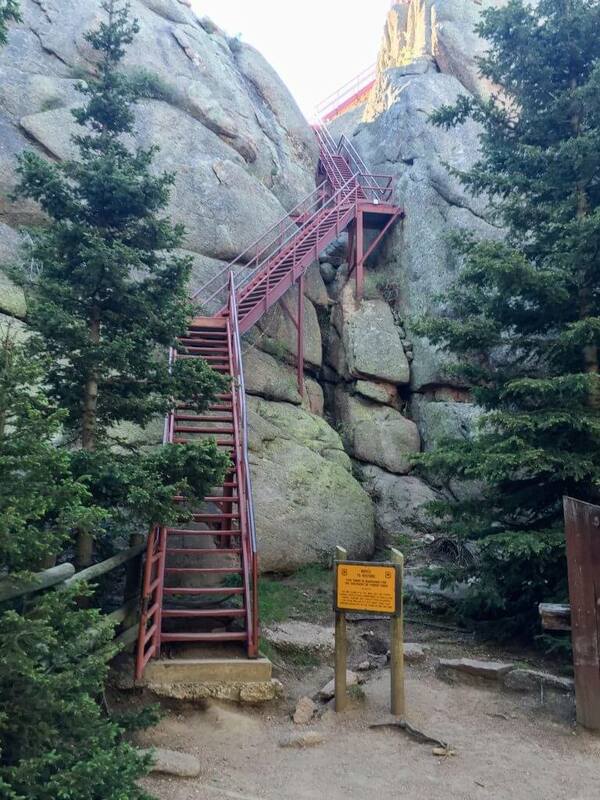 This hike is a right-of-passage for anyone living in Denver. Devil’s Head is about 1 1/2 hours out of the city, West of Castle Rock. At the top is a fire lookout building, which you can visit at posted hour (we were there too early to go in, but the views are on the outside fortunately). The trail is not difficult, although you should get there early. We left Denver at 6AM on a Sunday in June, and as we were coming down the trail droves of people starting coming up. I’ll say it again, go early. The stairs to the tower. The views get better the higher you go, so save your film. Wait, what is film again? The hike is for the most part shaded, which is great in the summer. The dog did not come with me this trip, although it seems like a decent trail for a dog, provided you are going when there is snow on the ground. The trails narrow at points, so this can be tight when passing people. 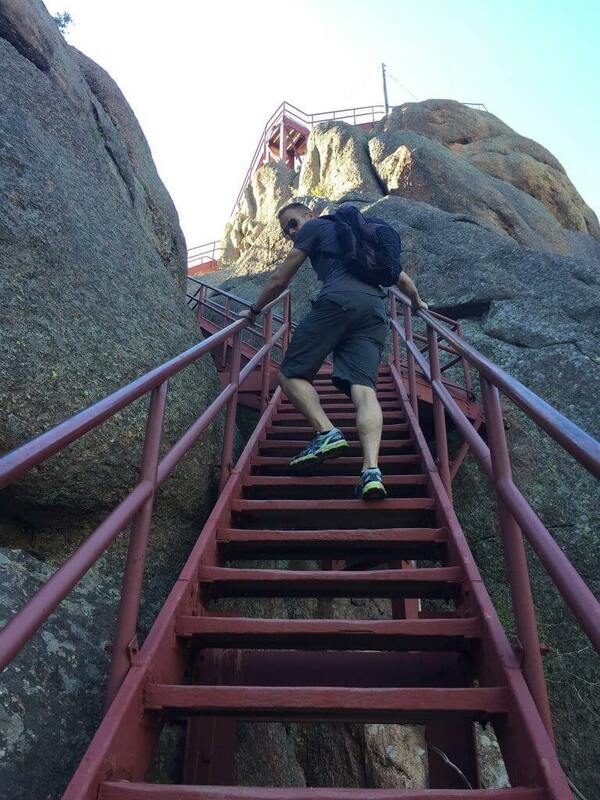 “Where do these stairs go?” “They go up.” Name the movie. As usual, I followed the route that Google Maps gave me. Do NOT do this. Google wants to take you up Jackson Creek Road. This road is winding and steep and extremely narrow. Even in perfect summer weather, this is a stressful drive; I can’t imagine what it’s like with traffic. Instead, take Rampart Range Road off of 67. As promised, here is the view from the top, and this is just in one direction! Click on the image for a larger size.